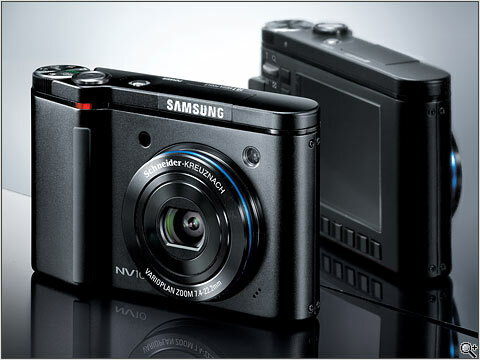 Samsung recently launched its New Vision (NV) digital camera series, which consists of the NV10, NV7 OPS and NV3 models. The company highlighted that this latest series sports new design features such as the signature blue ring around the lens and comes with an improved user interface and more advanced features. Amongst the notable features include a 2.5in 230,000-colour TFT display, Adcanced Shake Reduction (ASR), up to ISO1000 sensitivity, MPEG4 video recording and text recognition. 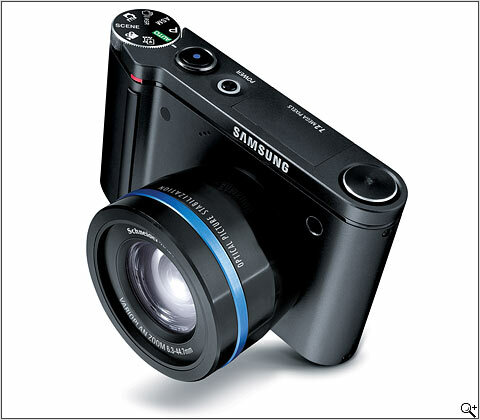 Comes with a compact black aluminium casing , NV10, the flagship 10.1-megapixel digicam allows users to capture still images at up to 3,648 x 2,736pixel resolution. It has a Schneider-Kreuznach lens with 3x optical zoom as well as a discreet popup flash located just above the lens that stay completely hidden when not in use. 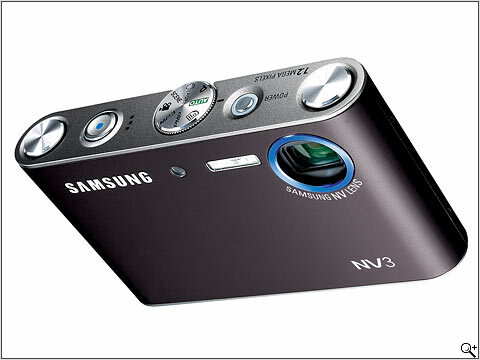 NV10 is equipped with SmartTouch user interface that allow user to access menu functions and reviewing images easier. Instead of the standard multi-selector push button, the SmartTouch GUI (graphical user interface) is located on the border of the LCD that allows users to scroll through menu functions with the touch of a finger. Next highlight is the 7.2-megapizel NV7 OPS. NV7-OPS has 7x optical zoom lens that can capture still images at up to 3,072 x 2,304pixel resolution. OPS (Optical Picture Stabilization) System has been installed into the camera. This double anti-shake protection system is powerful for blur free images. What make NV3 different from others is the 7.2-megapixel digicam is equipped with a pair of embedded stereo speakers besides the built-in player and an audio jack. This multifunction digital camera also serves as a digital camcorder, a voice recorder, portable hard disk and text viewer.